From day one, Hot Stix sought to utilize technological enhancements to create competitive advantage in all facets of its business. A passionate focus to independent R&D and club testing has positioned Hot Stix in a league of its own. Deploying proprietary fitting software and mastering the art of custom club building has also set Hot Stix apart. In everything we do, exceeding each customer’s expectations is Hot Stix’s loftiest goal. Hot Stix serves serious golfers from company owned locations throughout the country. Each location utilizes all of Hot Stix proprietary technology, has all the latest in available equipment and is managed by a Hot Stix certified fitter. All operational activities are centralized and are coordinated in the Arizona based headquarters. Hot Stix is committed to expand into new markets as meaningful opportunities are evaluated. The Company also seeks to establish highly effective partnerships with leading organizations serving the golf industry. I've used Hot Stix Golf and I endorse it. 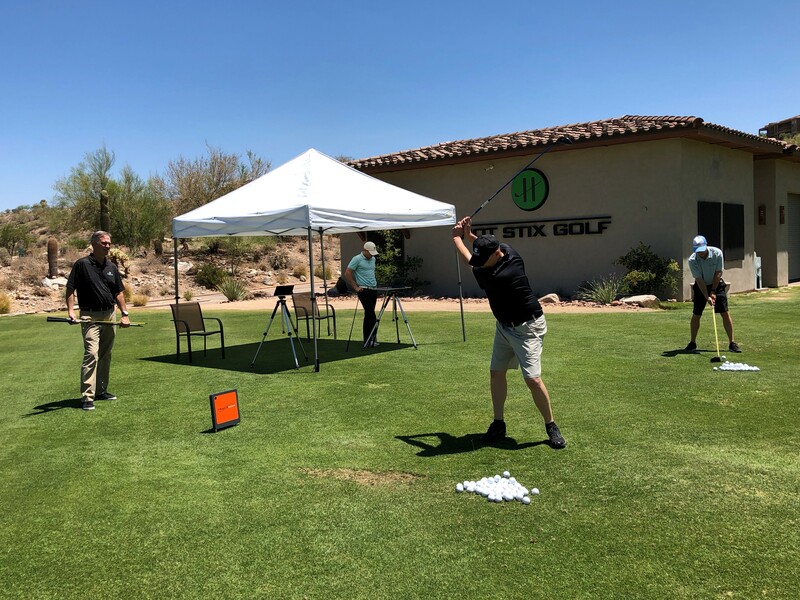 Hot Stix Golf is the Mayo Clinic of the graphite-and-titanium set, the place where touring pros like Hale Irwin and Tom Lehman go for top-to-bottom examinations of their equipment. © 2018, Hot Stix Golf. All Rights Reserved.